Stewie. 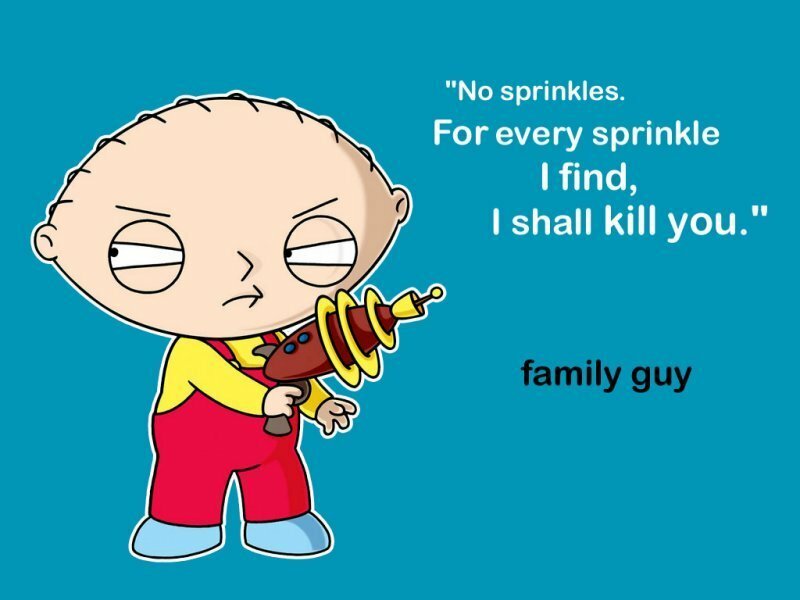 Here is a quote oleh Stewie from the episode "Chitty Chitty Death Bang" when he tells Chris if he finds any sprinkles in his ice cream, he shall kill him.. HD Wallpaper and background images in the family guy club tagged: family guy stewie no sprinkles in ice cream. Here is a quote oleh Stewie from the episode "Chitty Chitty Death Bang" when he tells Chris if he finds any sprinkles in his ice cream, he shall kill him.